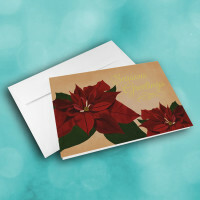 Share the warmth of the season with this beautiful holiday greeting card. 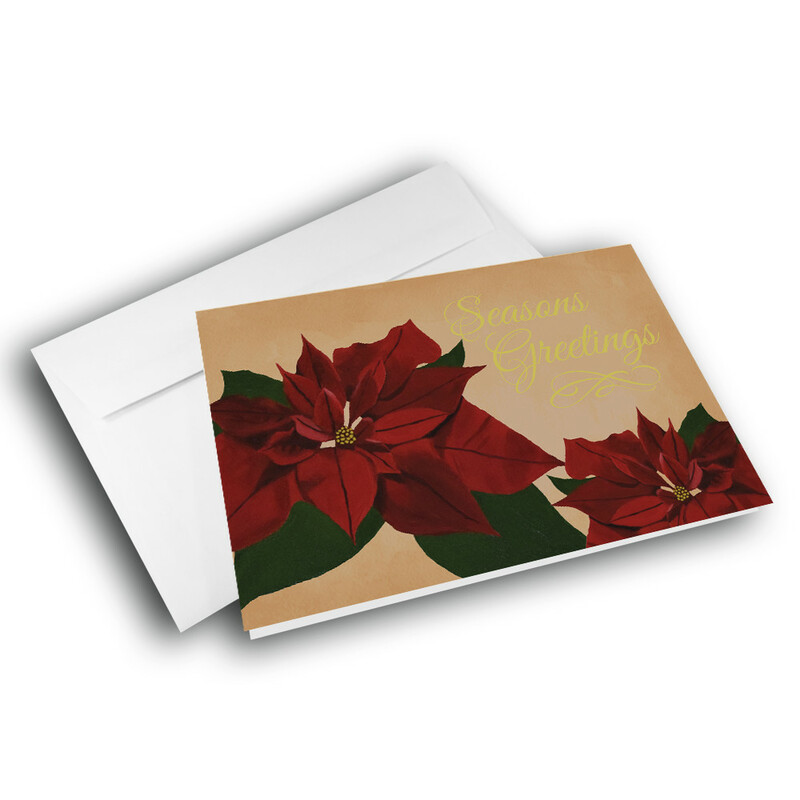 This elegant holiday card is perfect for any professional setting. 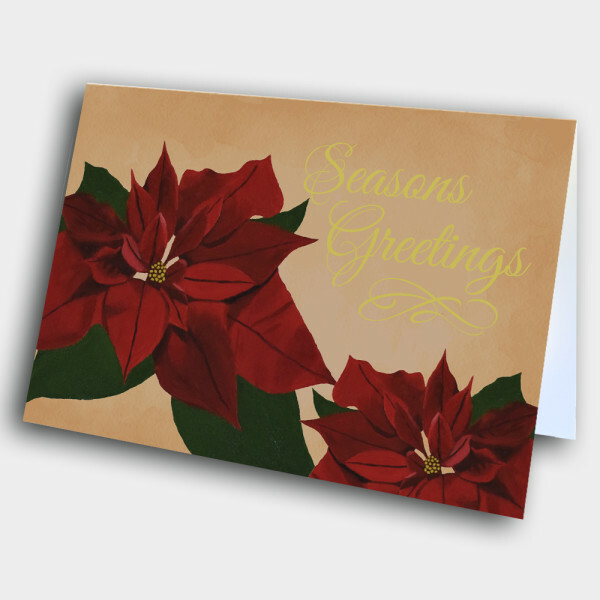 The front's warm brown background is adorned with two, beautifully painted Poinsettias, with the holiday greeting intricately printed above. 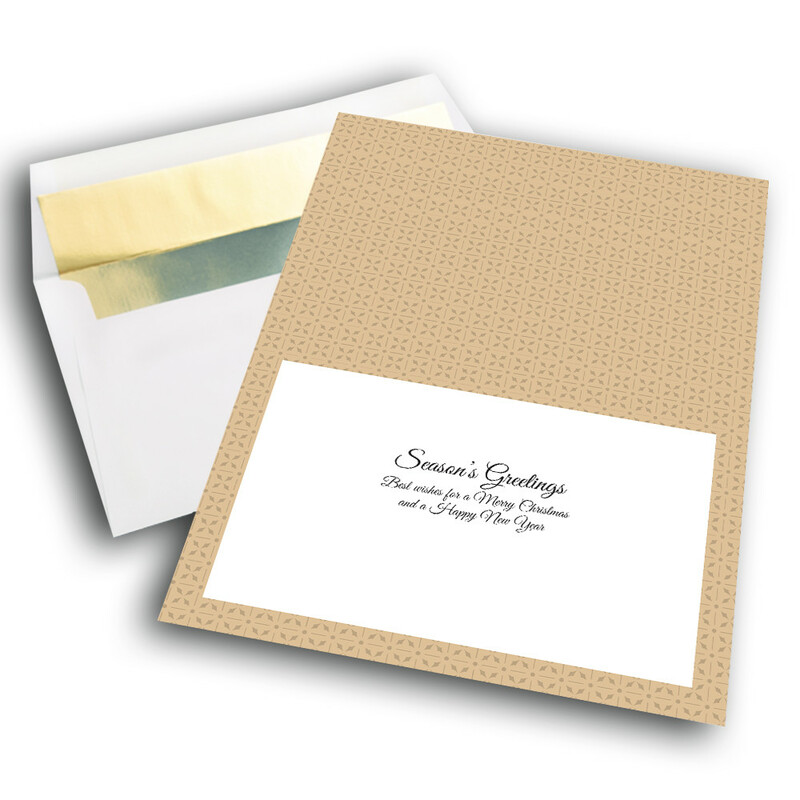 The simple beige, patterned interior displays the warm season's greetings message. 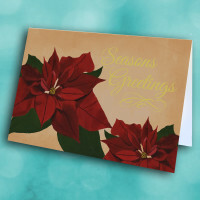 Personalize this message to give this custom greeting card your individual touch.